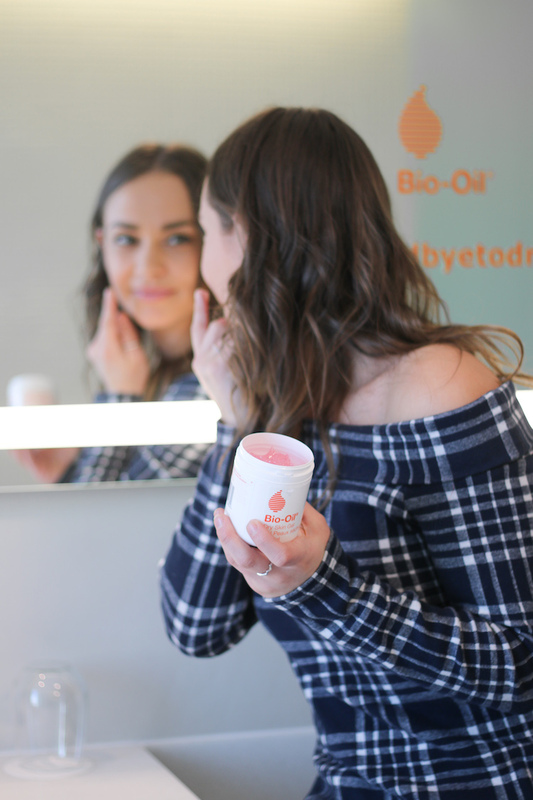 This past weekend, Bio-Oil® hosted a few bloggers in Toronto at Hotel X for a night of pampering and to learn more about their first new product in 30 years – Bio-Oil® Dry Skin Gel. Scroll to the bottom to check out my weekend VLOG! 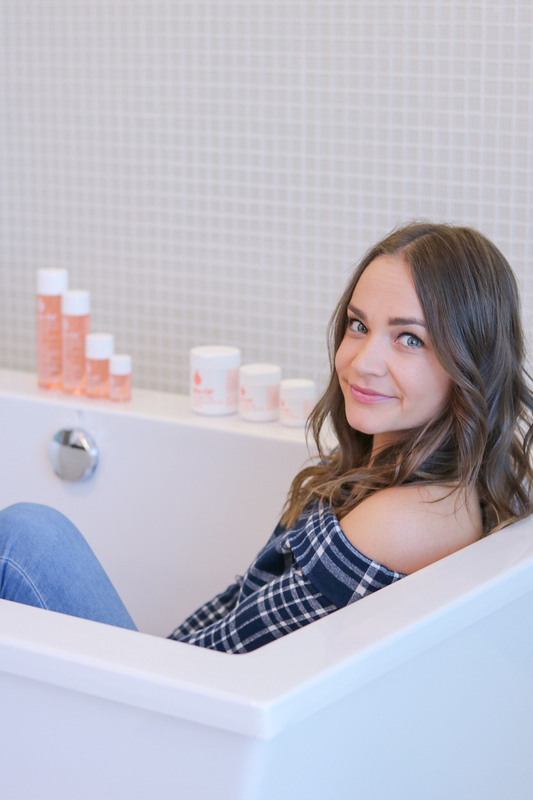 Living in Canada, I get dry skin so easily, especially in the winter making it very important to find a product that works but is also affordable. No one likes the feeling of your hands cracking or dry lips. While most dry skin products are made from 70% water, which evaporates when coming in contact with skin. 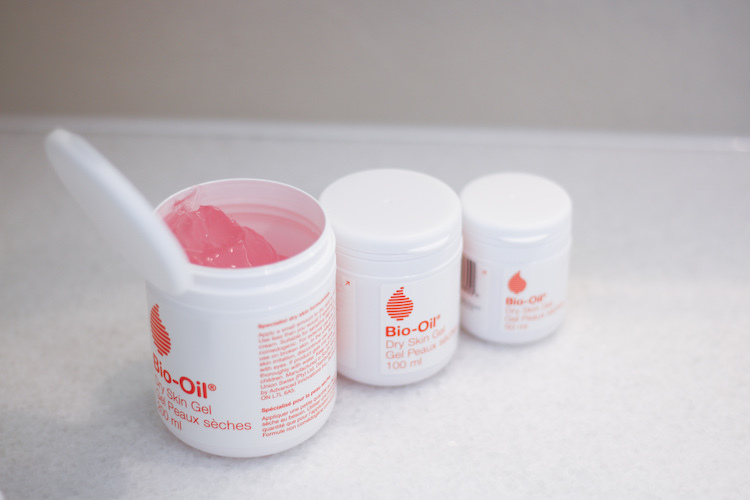 The NEW Bio-Oil® Dry Skin Gel contains only 3% water, allowing the active ingredients to dominate the formula. The new product comes in 3 different sizes ranging from $9.99 to $24.99. The best thing is that you can use almost anywhere on your body such as your hands, feet, legs or even your lips as a nighttime treatment. With ingredients such as glycerine, shea butter, niacinamide B3, urea and chamomile Bio-Oil®’s new Dry Skin Gel will help to boost hydration, nourishes and moisturise your skin as well as smooth and calm your skin. 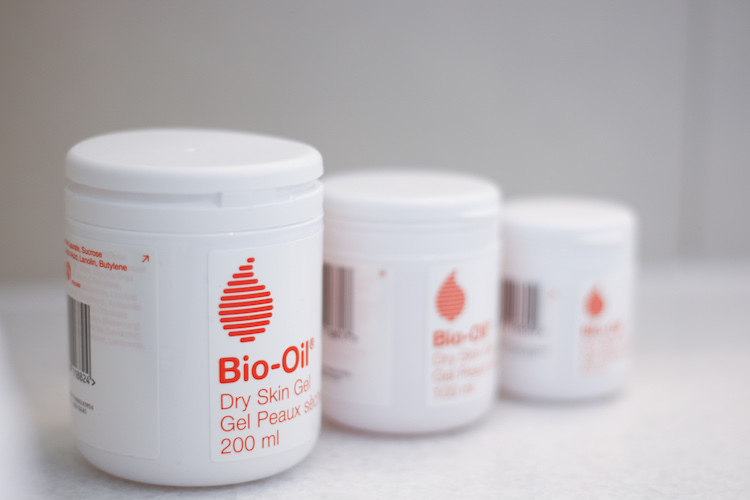 How does Bio-Oil® Dry Skin Gel differ from other dry skin products? Dry skin creams, lotions and body butters are made from water, which evaporates when coming into contact with skin and is of no benefit to dry skin. Bio-Oil® has pioneered a way to replace this water with oil, thereby creating a product that is 100% active. How does Dry Skin Gel compare to other dry skin products? 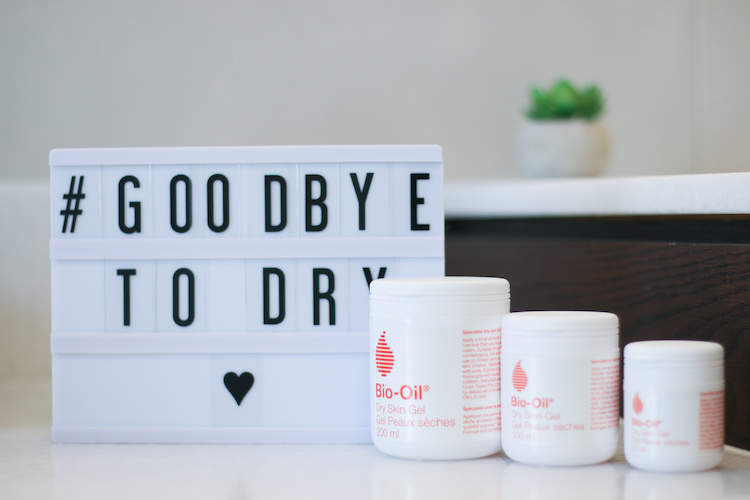 The comparison is simple, almost all dry skin products, including Dry Skin Gel, contain oil (or butters or waxes) for occlusion (to hold in moisture) and humectants to bind moisture to the skin. The difference is that Dry Skin Gel contains significantly more oil in order to perform better. Can all skin types use the Dry Skin Gel? Yes, most definitely. Its unique formulation is suitable for all skin types to help soothe and hydrate skin.